An Australian car is officially the world's fastest solar-powered vehicle, racing almost 10km/h above the previous record. 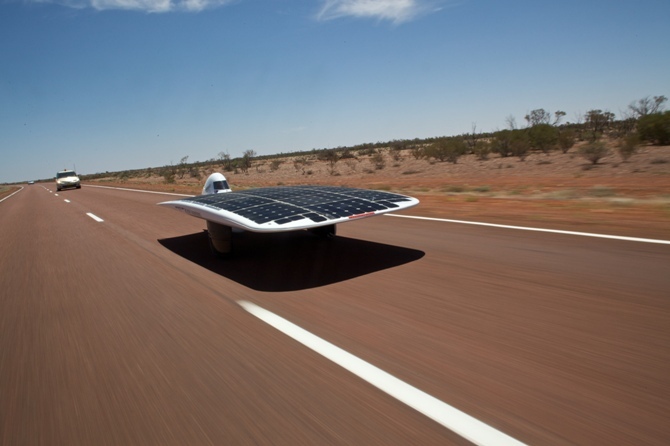 The solar racer Sunswift IV - known as IVy - was designed and built at the University of NSW. Powered by silicon solar cells trapping energy from the sun, the IVy broke the official Guinness World Record in a time trial on Friday. The previous record was 79km/h. In a race in 2009 from Darwin to Adelaide, IVy hit a top speed of 103km/h and on Friday morning it unofficially broke the record several times in trial runs. 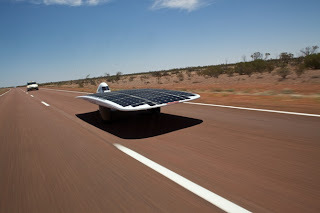 Vehicles attempting to break the speed record in the category are required to be powered only by solar cells. IVy normally uses its cells to charge a 25kg battery, but this was removed for the record attempt. At speed the car produces about 1,200 watts, roughly the same power as a household toaster.